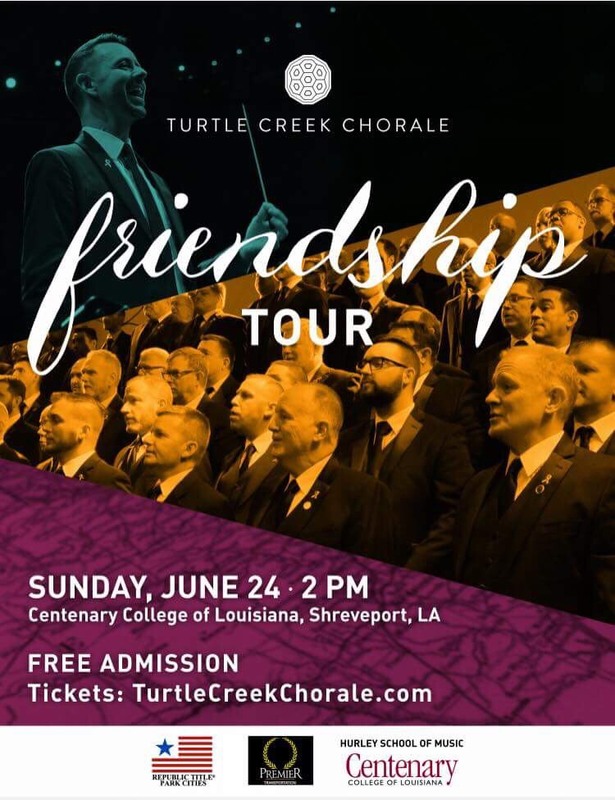 The Turtle Creek Chorale will take a positive message through music on a four-day ”Friendship Tour” of Oklahoma, Arkansas, Louisiana, and Texas. Free concerts hosted by local choruses and church congregations will be offered in Tulsa, Little Rock, Shreveport, and Tyler. Local choirs and choral organizations will also join the Chorale in each city. The tour will include a stop at Centenary's Brown Chapel on Sunday, June 24th. Additional information will follow.